Mr. Mark Scirto, Chief Meteorologist for KLTV, visited Quitman Elementary and presented KLTV's "Project Tornado". Project Tornado is a program designed to educate audiences on the tornado facts as well as inform the audience of the warning signs of a tornadoes and what to do in case of a tornado. 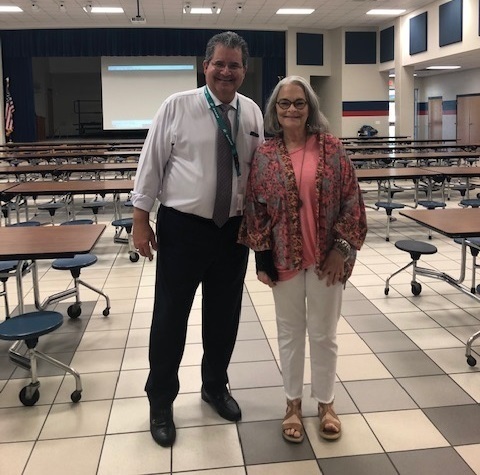 Elementary Principal Mrs. Mary Ann Nichols with Mr. Mark Scirto.